What I learned today – When in doubt, take a nap. I’m not sure if it was the g&t last night, the 19 days of riding, or the altitude, but when I woke up I felt like I had been hit by about 50 trucks. My whole body felt swollen and puffy, I was sore and exhausted, and was a little bit confused as to how anyone could feel or act normal. The guys had been up for a few hours, had looked at the maps and mileage and realized that there was no way we were going to make it to the coast by our deadline of June 14. That put me in an even worse mood as I gulped down water, emergen-C, and rescue remedy to try to get my body to feel normal again. 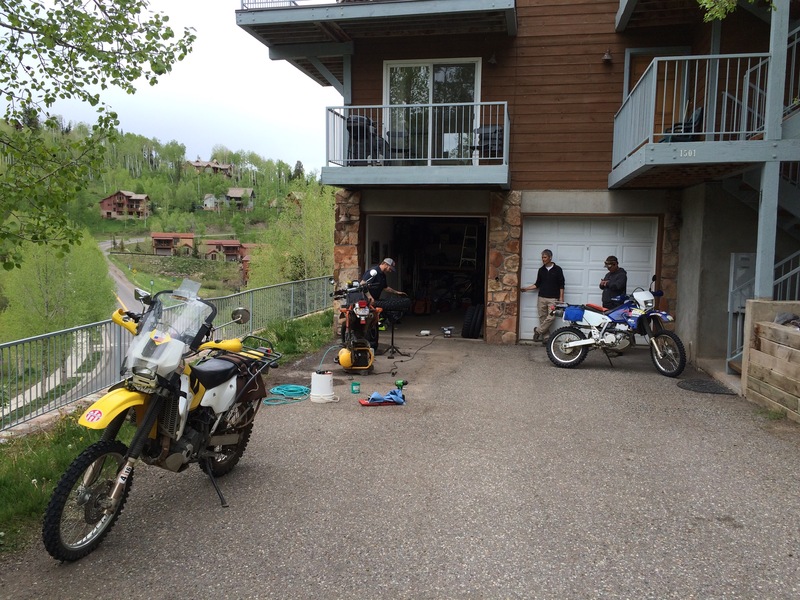 I thought food would help so I cooked up some egg and cheese sandwiches while they unloaded and gave the bikes a bath. It was nice to cook in a normal kitchen, and eat non-camp food that we had made ourselves. We were waiting for Morgan to come down from the Highland Cycles motorcycle shop in Montrose to put on our six new tires and a new sprocket and chain on dad’s bike. After eating I tried looking at the maps myself, but couldn’t really think or focus and just became depressed at the thought of not making it all the way. 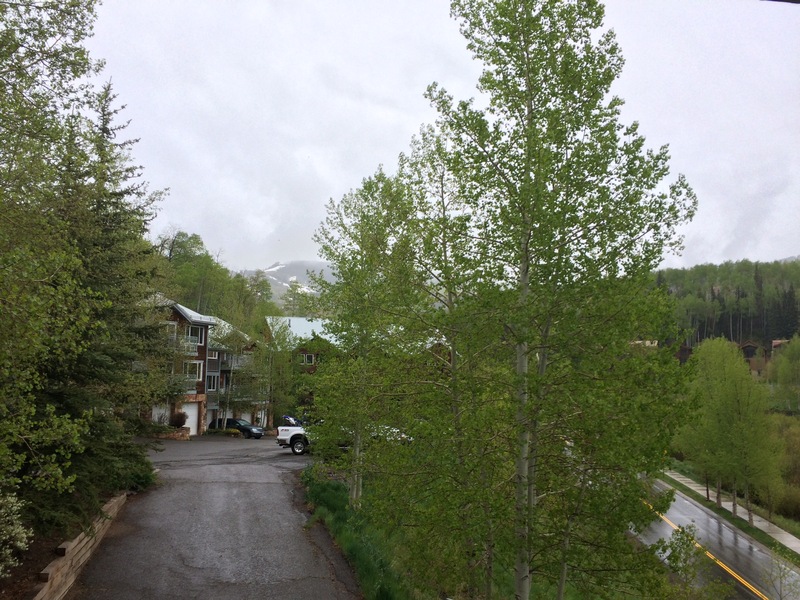 Then it started to rain, very unusual for Telluride this time of year. 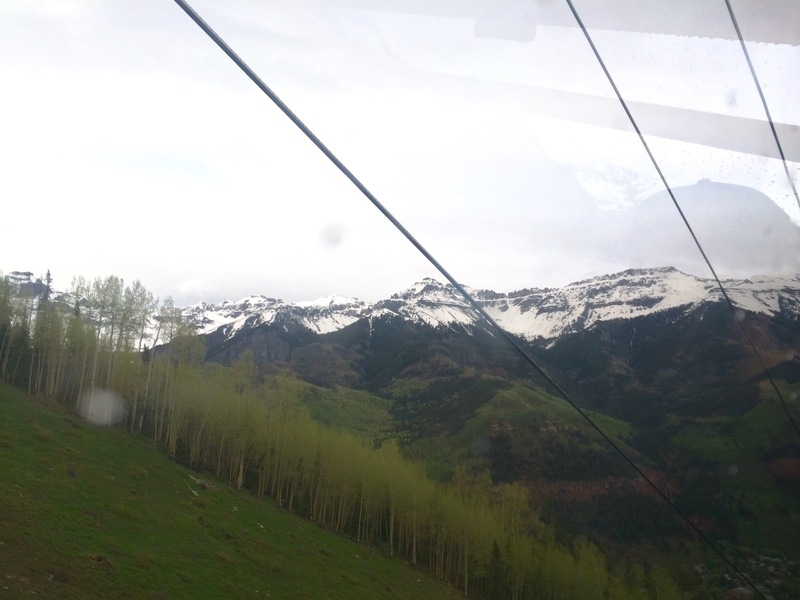 We had been thinking about heading back out on the trail today if the bikes were ready in time, but seeing as how I felt like I could barely move plus the rain made me call it- nope. 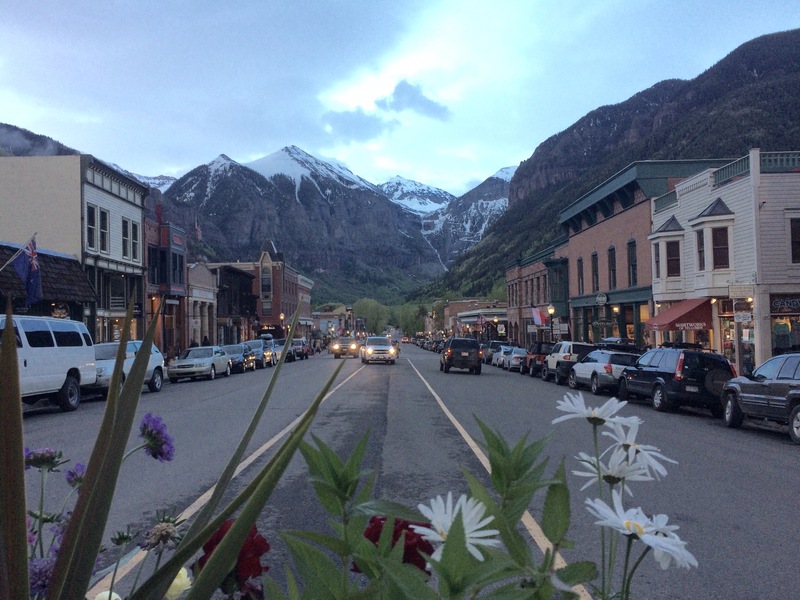 One more night in Telluride. No one seemed to be complaining. The tire change was going well and our friend Justin had brought in some pizza for lunch so I ate and got back in bed for a few hours. Napping helped- I felt like I had only been hit by one or two trucks, not 50, and later that evening we went back into town to have dinner and walk around a little bit. 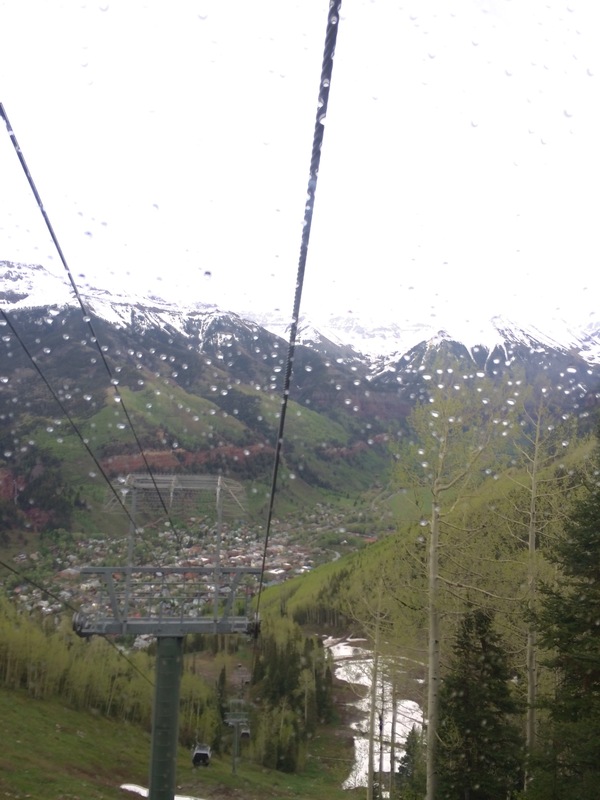 Even when feeling bad, Telluride is a great place to be. It was awesome to hang out some more with Rube, do laundry, take hot showers and eat good food. We had our sights set on an early departure in the morning, hoping for clear skies and rejuvenated bodies, minds, and spirits. It’s about the journey, AND the destination, right? Somewhere between the two is the right balance for you and your companions. Being a person who finishes things and acheives her goals in a timely manner is good. Knowing how to travel with a sense of feeling, timing, and balance, and enjoy being present in the moment is good too. This trip will never truly be over. When the time, money, endurance, faith, or whatever runs out, then it is the to go home. The Pacific Ocean will still be there waiting for you if you come back another year. So relax and enjoy the days that lie ahead of you, Yogini. Great words of wisdom David. Sometimes, you have to know when to hold’em, and know when to fold’em, know when to walk away, and know when to run. I am planning on riding the TAT from Maine to San Diego next year with my son. 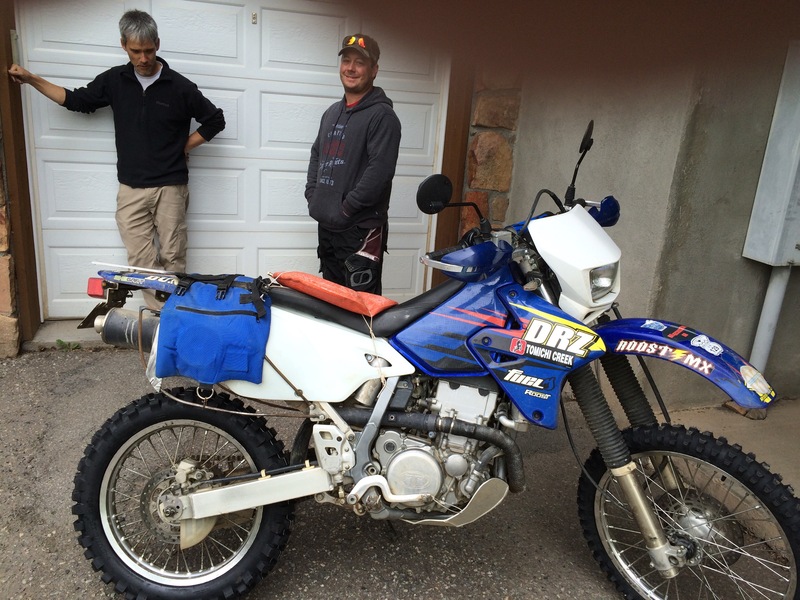 We took 4 weeks for the TAT and 1 week to ride back home to PA. We ran out of time and had to slab it through Oregon to get the coast….it took nothing away from my feeling of accomplishment… we did what we could ….and that’s all you need to do. Remember….most just talk….you’re doing it! Be VERY happy about that! Great read so far! When we did the TAT, by the time we got through Colorado we were sick for 2 days, like we were also ran over by 50 trucks. We spent a few days resting up at the 3 Step Ranch. That was all I needed, felt great and tackled the rest of the TAT. My riding partner turned tail and headed back east. One more day of rest and I think he woulda been ok. It may be hard to believe, but the ride only gets better from here on out! Good luck, I’m pulling for ya! I lived in that area of Colorado for 9 years and it sounds like you had a bit of altitude sickness. The only thing I’ve found that helps is downing TONS of water and rest. Hope you’re feeling better! Yes I am thank you!! 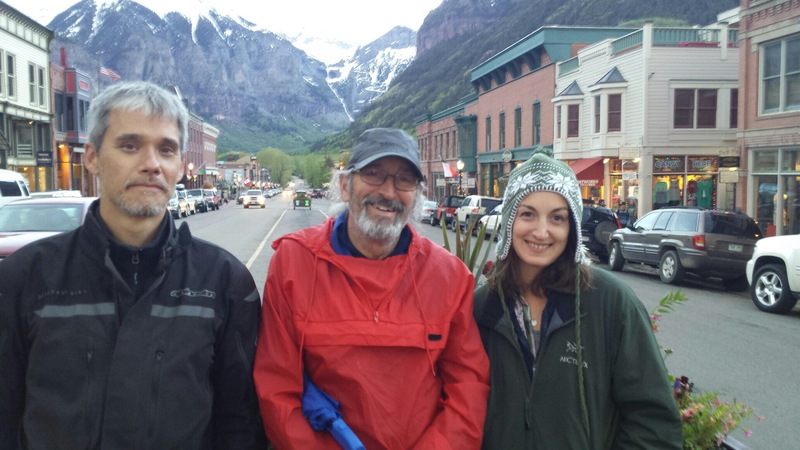 We are happy that you rested and happy that you had time to enjoy Telluride! You deserve a break! Take it easy in the desert! I’m pulling for you! A friend and I plan to depart July 1 and hope the passes are clear by the time we hit Colorado. I’m almost 68 and curious about the age of your Dad? You are fortunate to be riding this at your young age. Like many , I couldn’t afford the time to do this back when all the joints worked and everything didn’t hurt when I got up in the morning. He seems to be doing well, at least in your pics! Your pics are great! What kind of camera do you use for the still shots. BTW, I live near Johnson City, TN not so far from Blacksburg, Va.
That’s great! My dad is 70 ☺️ I’m just using my iPhone for the photos and everything else. Hope you enjoy the trip, the passes should be clear by then. 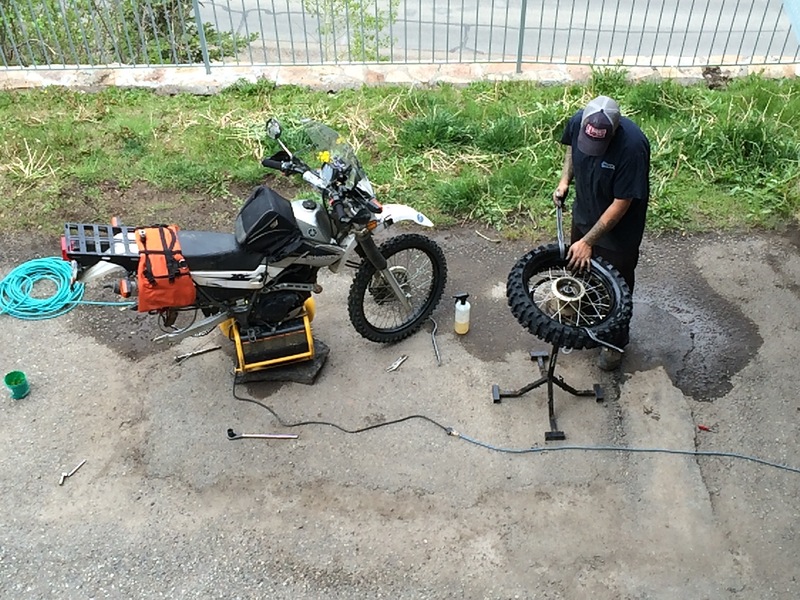 Hey Larkin, Stefen and Rich…the guy who changed your tires, Justin (Wildman) is my cousin! Small world, ha! It’s so much fun following your journey…keep on keeping on! Thanks Davis- Justin didn’t do our tires, he came out to ride with us- our dads are good buddies ☺️ yes, small world. I think you missed a day in your total miles. Day 19 total was 2766. Keep going! you inspire all of us! Hello Larkin & Richard….we meet again! Last time I saw you guys it was in the Arches National Park, Utah. We were there for a “Boys-Week-Out” party and my son, Logan noticed someone had put Husky logos on his Kawasaki bike…one of 3 worn-out looking machines of the group. Larkin came over with a smile and filled me in on the journey thus far…you guys looked good! Even Richard was yappin away….so where’s the update?? I wanted to read about this handsome star you meet at the park that day 🙂 Ha, kidding, but would love to see how things are going, do update soon! Thanks so much!! Yes we are good- camping at the CA/OR state line tonight- 4 days to go. It will all be up here eventually! Hey Culliganman1037 I will be leaving from Tellico Plains on the 1st of July too. See you on the trail!! I thought I had posted this yesterday. Geeze, lozin it. So these all from the day before we met “the gang” in the Arches National Park, UT on Sunday, June 7th. My son and I are following you guys but I don’t see anything after that date. 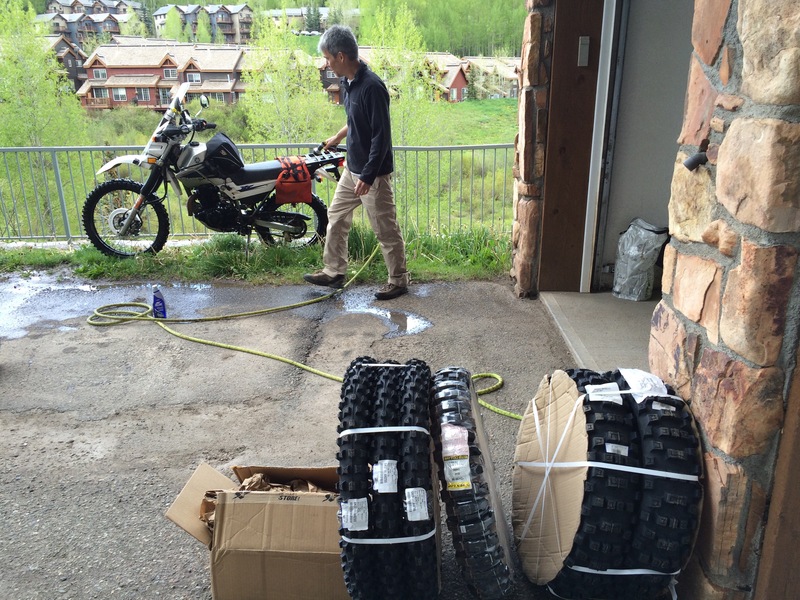 We hadn’t any WiFi service in Moab (Red Cliff Inn) so he thinks that is why there isn’t an update. He’s also the one that had the problem with the Husky emblem on the Yamaha 🙂 For that, I left him in Utah, maybe pick him up on the way back? When/if you are ready would you write a final “looking back at it all” entry? I know you might need some processing time but we readers would love one more entry. That emotional reflection is an important part of the trip and I would love to hear your thoughts. I have been following since about day 3 and have deeply enjoyed following you three.